Burgers are a regular on our menu at home, usually for a quick and tasty Friday night dinner. If you’re vegan, vegetarian or simply want to include less meat and more plant-based meals in your diet then this is a super simple way to do it! In the ideal world, we would all have the time and skill to cook everything from scratch, but for most of us, it’s just not reality. Sometimes you need a bit of a sanity saver and these Vegie Delights Lentil Patties are just that. They taste great, are quick to cook plus they’re fortified with Vitamin B12. Vitamin B12 must be supplemented in vegan diets as it’s only found in animal-based foods. They’re also a source of iron and zinc. Pick them up in the frozen aisle at Pak’nSave and New World supermarkets. 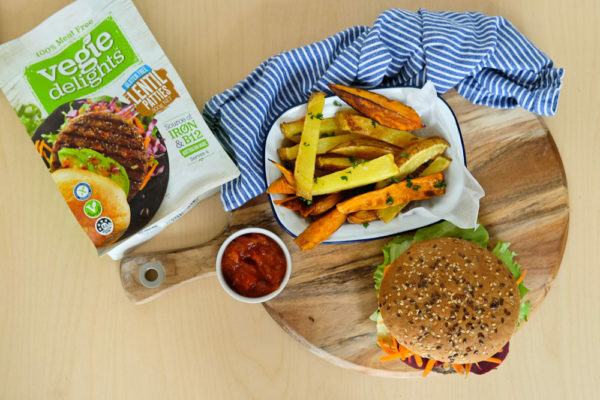 Here are three delicious vegan burger recipes you can create with the Vegie Delights Lentil Patties. There’s a range of other products too that are great for those nights when you just don’t feel like cooking. These are three simple and delicious vegan burgers that you can have ready within half an hour. Now that’s my kind of dinner! Cook the patties as per the instructions on the packet. Toast the burger buns and spread with the chipotle mayo mix. Add the cooked pattie and stack up the vegetables. Eat and enjoy! Heat a tsp of oil in a frying pan and cook the mushrooms and zucchini with the garlic. Cook the Vegie Delights Lentil Patties. Toast the burger buns and spread with vegan mayo and tomato chutney. Layer the pattie, cooked mushroom and zucchini as well as the rest of the salad ingredients. It’s as simple as that! Cook the Vegie Delights Lentil Patties as per the instructions on the packet. Toast the buns and spread with vegan mayo. Add the pattie, spread with the pesto and sprinkle over the parsley. Stack on the rest of the vegetables and sink your teeth into the delicious burger!! To be in the draw, comment below with what burger you’d like to try first. The winner will be announced in my email newsletter – make sure you sign up below to be notified! This post was sponsored by Vegie Delights. The Smokey Vegan Chipotle burger would go down a treat with the flat mates 😀 Thanks for the recipe ideas! They all sound delicious but the herby pesto burger would be my first try. Yum! The Herby Pesto burger would be my pick! Herby Pesto Burger is the one that appeals the most to me. I like the idea of the Lentil Patties. These’d great substance to the burger- the sort of mouth-filling satisfaction that carnivores crave. I’d like to test them out on my sons. Meanwhile – they’ve got plenty of veggie goodness to provide a feelgood meal for all. The mega veggie burger would be my choice ?? I’ll take the herby pesto! Yum! 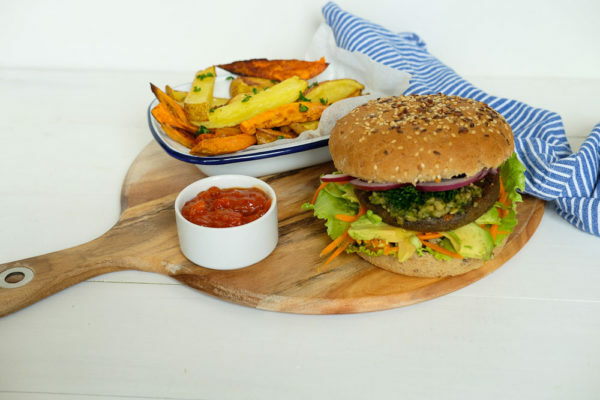 I’d love to try the herby pesto burger- it sounds really light and refreshing- a perfect light meat-free meal! These all look so delicious ? Herby Pesto- yuuum! I can use all my basil up and make the pesto to go with it! Herby pesto burger sounds yum! These all sound delicious! My first pick would be the Herby Pesto Burger. I haven’t tried these vege products before so would love to give them a try. Mmmmm the mega vege burger looks amazing! The smoky vegan chipotle burger for me! The mega vege burger looks like the one for me! Yum! That’s a tough decision… I’d go mega vege burger first! I’d love to firstly try the smoky vegan Chipotle burger I’m a little bit obseased with Chipotle flavors. Oh so yummy. I’d try the mega vege burger first, but all look delicious ? I would love to try smoky Chipotle… Mmmmm. ?? Thank you for the chance to win this fantastic prize. Definitely the mega vege, yummo! Mega Vege Burger, can’t go past portobello mushroom in a burger! Herby Pesto. But tough call. They all sound amazing. The her by pesto one sounds good. 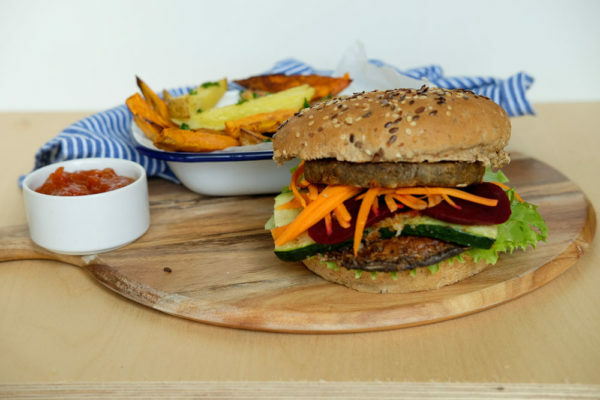 Keen as a bean to try the smoky vegan chipotle burger! Although the herby one sounds good too! Smokey Vegan Chipotle for the win! Oh these look amazing!! I’d totally go for the Smokey vegan chipotle burger ?? The SMOKY VEGAN CHIPOTLE BURGER looks super delish! Will definitely be trying this recipe out. Yum! Herby pesto sounds the best. Would love to convert the fussies in my house! 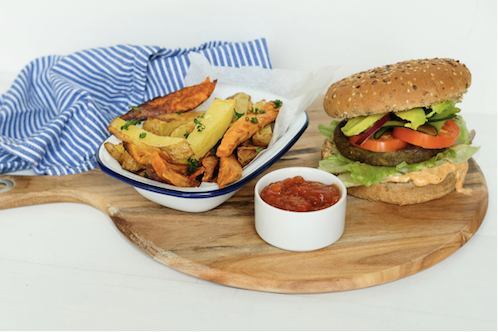 The Smoky Vegan Chipotle Burger sounds divine! 🙂 It’d be very popular in my household! Smiley vegan chipotle please and thank you ?? The herby pesto burger sounds amazing since pesto is my favourite comfort food of all time! I’d love to try all 3 though, they look like they’d make my transition from vegetarian to vegan a lot easier! Mega vege burger!! Yum I have never thought of putting zucchini in a burger!! I am excited. They all look delicious but would go for smokey chipotle first! The Smokey Vegan Chipotle Burger sounds relish!! We have been vegan two years and would love to try Veggie Delights burgers. Ive been waiting patiently to try these! I want to try make the smoky chipotle burger! ? they all look delicious. I like my burgers extreme so if I had to pick it would be the mega vege burger! SMOKY VEGAN CHIPOTLE BURGER sounds devine. They all look awesome, but I’d definitely make the mega vege burger first! ??? They all look great but I would want to try the smoky vegan chipotle burger first! 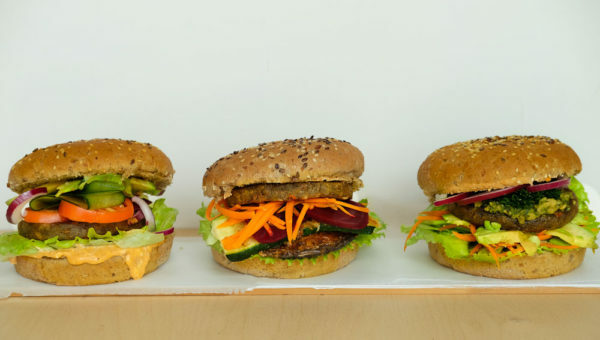 Mega vege burger… but they all look fab! 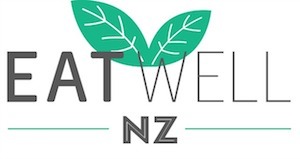 The mega vege burger sounds yummy – but I would like to try them all one day. I will look out for them when I am next out shopping. Definitely the chipotle burger! I would add some avocado and jalapéno’s though just to make it extra delicious and a little bit spicy! It would be a tough decision between Smoky Chipotle and Herby Pesto! Definitely the pesto burger for me. That is if they are gluten free lentil patties as I’m coeliac as well as vegetarian. Will definitely devour the Smokey Vegan Chipotle Burger!!! ??? The Herby Pesto burger sounds delish! The mega vege burger sounds epic! Lots of delicious flavours and colours ? The Smoky Vegan Chipotle Burger for sure! Smokey Vegan Chipotle sounds AMAZING! Mega Vege burger! The portebello and recipe looks DELISH. Definitely keen to try these patties out too! They all look so good! But the Mega Vege burger would be my first choice! Herby pesto burger sounds the yummiest. They all sound awesome think I’d try mega vege first! The Herby Pesto Burger sounds heavenly! That’s my top pick! ?? The herby pesto burger sounds sublime! Love all these ideas, and am such a fan of lentil and bean-based patties. They’re delicious, and often just as satisfying as meat alternatives. I love varying the bun choices too: ciabatta rolls make a great alternative, as do steamed bao-style buns, brioche rolls, and baguette. I love fat portobello mushrooms, and (for vegetarians rather than vegans) burgers make a great cheese showcase. There’s nothing like a slice of cumin-spiked Gouda alongside a decent meat-free patty! The Smoky Vegan Chipotle Burger sounds amazing ? Slowly trying to go towards a vegan lifestyle so thanks for the recipe! SMOKY VEGAN CHIPOTLE BURGER This burger sounds amazing. This would be No 1 to try. They all look amazing but I would have to try the Mega Vege Burger first I think! Yum!